Thread: Biking Australia? Beware of the MAGPIE! I've been mountain biking in North America for over 15 years. When possible, I also enjoy riding in other areas of the world. Recently I had the opportunity to visit Sydney and thought it would be fun to sample the local riding there. I actually decided to take a ferry up to Manly where some trails were located. It rained some that day and was pretty cold, but the trails weren't too bad and the ride was good. 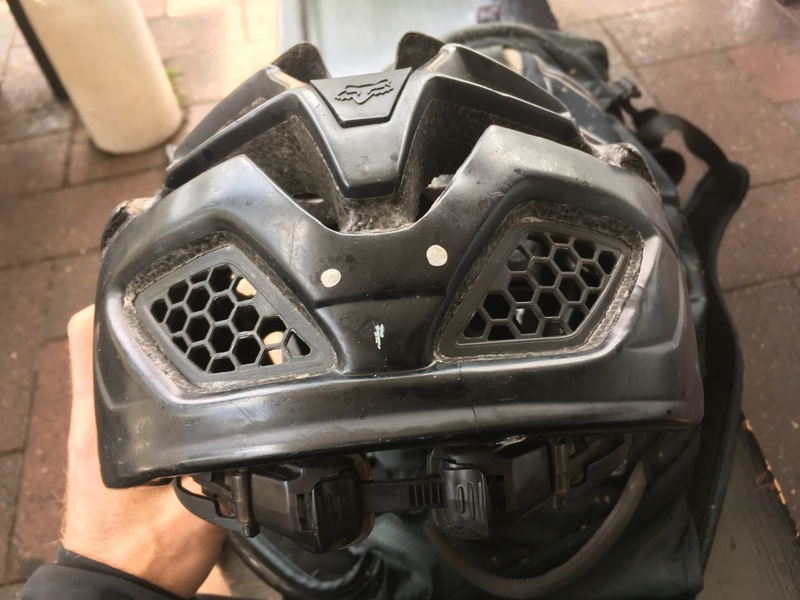 However, as I was riding back into the city, a bird struck the side of my helmet. I was stunned and immediately thought, "wow what a freak coincidence that I just rode into a bird." Never had that happen before. Kept pedaling. 5-10 seconds later, another hit on my helmet, this time to the back of my head, quickly followed by another strike on the side. I rode for 20 more feet and was hit again. I immediately stopped the bike and got off. When I turned around and scanned the area, up in a tree just glaring at me was this black bird. Some locals were nearby and had seen my panic. They informed me that this was a common occurrence, especially during that time of year. I was genuinely paranoid at that point, and decided to walk my bike back to the dock, with my head on a swivel the entire way. Animal encounters can be exciting, scary, or interesting. This was downright frightening lol. After the experience, I did some reading and have a much better understanding of what happened. 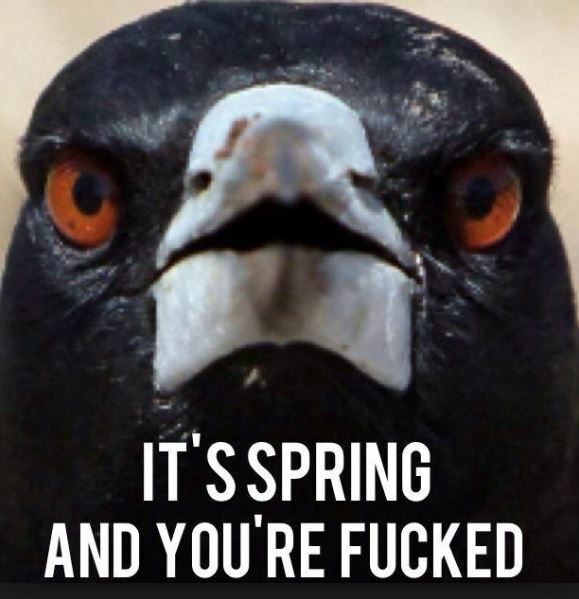 But for anyone planning to ride in Australia during certain times of the year, beware of the Australian Magpie! LOL that pic is hilarious. See I noticed these dots on the back of the helmet provided with the rental, and at first I wondered if that's why it was attacking me. But after I read more about it, I guess it was supposed to prevent it like you suggested. Better hit by a magpie than a cow pie! We have those pest birds in New Zealand as well. Someone thought it was a good idea to bring them to our shores. I have been hit several times by them. They become very aggressive in the spring time when nesting. A very territorial creature. I have watched them chase away Hawks 3-4 times their size in flight. Ahh yes....bloody magpies. I've been hit more times than I can remember and had my ear and above one eye opened up by these a#$eholes. Having tried zip ties and fake eyes I now just use them as an excuse for impromptu sprint intervals. All said and done I'd rather be swooped by a bird than come across a bear on a trail. It's that time of the year - magpie attacks!